Your child’s hearing is a crucial component of the development process. 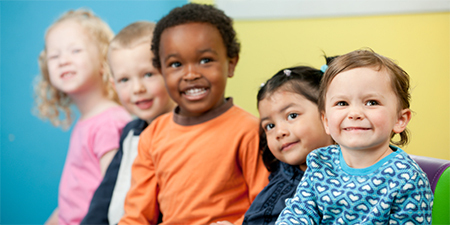 It affects their social, emotional and cognitive skills and plays a major role in language and speech development. A hearing loss can have a big impact on your child’s learning ability, but if the problem is caught early, it can be treated. Hearing loss is a fairly common birth defect, affecting two to three out of 1,000 babies. But even if your baby fails the initial hearing test, it doesn’t necessarily mean that a hearing loss exists. Two to 10 percent of newborns in the U.S. fail their first hearing screening, and of those, less than one percent have permanent hearing loss; follow-up screenings often come back normal. A failed hearing test can be the result of crying and fussing during the exam or a buildup of fluid or debris in the ears. Older children, too, can have a failed hearing test for a number of reasons. Fluid in the ear or excess wax can negatively affect the results. It’s best to have a trained audiologist perform a hearing test in a clinical setting in order to be sure. Auditory brainstem response (ABR) test. Clicking sounds are transmitted through earphones, and electrodes measure the auditory system’s response. Otoacoustic emissions (OAE) test. Pulse-type sounds are delivered through a probe in the ear canal, and the “echo” response from cells in the inner ear is recorded. Tympanometry. Soft sounds and air pressure are introduced in the ear canal to measure movement of the eardrum. Middle ear muscle reflex (MEMR). A rubber tip is inserted in the ear canal, and a series of sounds that should trigger reflexes are delivered through the tips. If your infant or child fails any of these hearing tests, solutions are available to assist their growth and development.